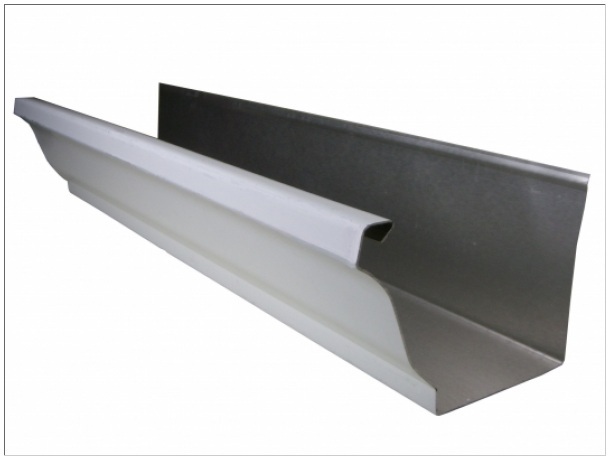 Designer Copper Aluminum K Style Gutters were designed originally for roofs with flat vertical edges. These roofs are commonly seen on Colonial Revival and other structures popular from the 1910's through the 1930's. The Designer Copper Aluminum K Style Gutter is shaped to be mounted against the flat fascia board, and to mimic classical crown moldings. Designer Copper Aluminum K Style End Caps are the fittings that attaches to and closes off the end of the gutter.